Keir, which specialises in property, residential and construction services, announced a new contract on Tuesday. Keir will be responsible for a £22 million contract to refurbish the Dewsbury and District Hospital. The project will include a refurbishment and rebuilt and will be part of the Mid Yorkshire Hospitals NHS Trust (MYHT) ‘Meeting the Challenge’ strategy. The strategy has been set up in order to improve accessibility and safety for local residents. As part of the new project, Keir will be completing a new build as well as a refurbishment. The work will start later this year and will consist of two different stages. The project will begin by relocating services to the Ridings building and Service Centre. The second phase of the project will include the construction of a brand new main entrance for the hospital. 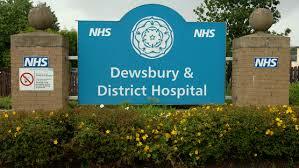 Once the work has been completed, the Dewsbury and District Hospital is set to be named as an emergency centre. It is thought that the project will be finished by the summer of 2018.